As I've said before, I am such a late bloomer and only recently realized that: (1) I have to start taking better care of my skin, and (2) there is makeup. I'm just kidding about number 2! What I mean is, I've never applied my own makeup beyond a light dusting of face powder and a tinted lip balm. I've always enlisted the help of my mother or a makeup artist when I needed a makeover for a prom, debut, or wedding. Until this year, that is. With the end of internship came more free time to spend online, and with that came the discovery of niche bloggers. 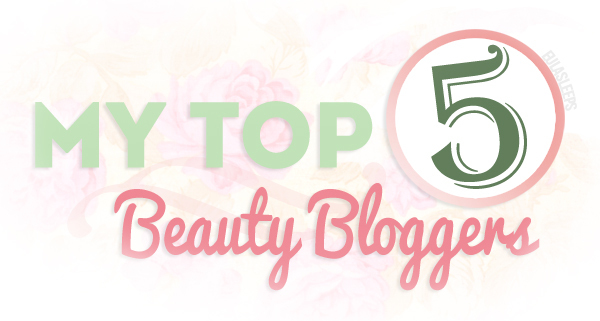 Here I round up my five favorite beauty bloggers. 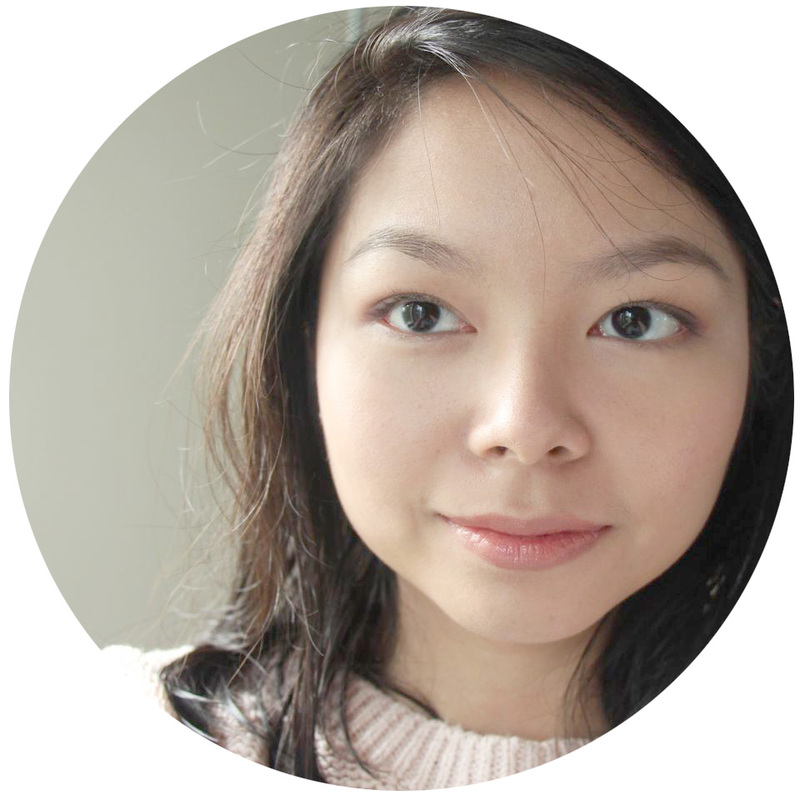 A brand manager/makeup enthusiast, Liz runs one of the most regularly updated, objective blogs about beauty (and sometimes, fashion). She has reviewed the most number and variety of products out of all the beauty bloggers I have encountered. Seriously, if I'm curious about a product I don't stop with Google, I load Liz's site and search her archives. It hasn't failed me yet. Liz's site is also interactive: she hosts a message board where readers can both post and answer questions. If a question bears writing a long answer, she will dedicate a post to it. And because she's tried so many products, she is able to compare products to one another and recommend alternatives. I love that she gives both splurge and save options to her readers. Even though most of the featured products are comp'd, Liz's reviews are objective and relevant to the average woman. It was her posts on K-Palette that convinced me to get the excellent K-Palette 1-Day Tattoo. Her posts are grammatically correct and her product photos are good. Her series of makeup tutorials is extremely easy to follow and are often perfect for office wear or events. With such a busy blog, it's no wonder she has thousands of followers. Nikki is a professional makeup artist (MUA). What I like about her blog is that she posts tips at the end of reviews. And she offers tips for all skin types. Being a MUA, she is in a position of authority to write about this. I especially like her articles on makeup for mature skin, which are a rare thing on the internet. I've been echoing her tips to my mom. The thing about Nikki is that she looks the same in all her photos, even when she's trying out vastly different products. I think it might be the camera she's using, because when she posts before and after shots of her makeup gigs, you can see what a talented MUA she really is. The transformations are quite impressive. But what really keeps me reading is her positive personality, which shines in her writing. (Her motto is, "Keep smilin' / Stay happy!") You really get the feeling that Nikki is passionate about being a makeup artist, that she became one not so she could try makeup on herself, but so she could enhance the beauty she sees in other people. She also responds to each and every comment she receives. I once asked her a question through her askmewhats form, and she emailed a day later apologizing for the late reply! I've not encountered another blogger with an aura that emanates through my computer screen. Julia is another makeup artist with an amazing portfolio. I read her blog mostly for her skincare reviews. I value her opinion because she says she has sensitive skin, so she's really picky about what she puts on it. Julia has influenced me to get The Body Shop Seaweed Pore Perfector and the Nivea Baby Smoothy Cream. Hers is more of a personal blog than the others, but still mostly niche. She has an honest and almost poetic way of writing. Not to mention, impeccable grammar. Even if I'm not interested in the product she's reviewing, I find myself reading all the way to the end because her prose is so engaging. One of my favorite blogs to read. Marge's niche is Asian cosmetics. She's like the Wikipedia of BB creams -- if you've heard of it, chances are Marge has tried it. Her review convinced me to get The Face Shop's Lesson 01. FACEit Circle Face Brush, which I've previously raved about. I like the humor she injects into her posts, lending her reviews an objective but amusing vibe. You get the feeling she types the way she talks. Chrissy is another exceptional MUA. (I've seen some beauty bloggers who claim to be MUAs but who can only seem to make themselves look good.) She isn't stingy with her knowledge either. Chrissy shares makeup guides and writes tutorials on how to get a certain look, in addition to reviewing makeup products. It was from her that I found out about Dickinson's Witch Hazel Toner and the Garnier Light Instant Fairness BB Eye Roll-on. Her blog is the most professional I've seen, in terms of both layout and content. I'm following other beauty bloggers on my Google Reader (see below), but these are my top 5. Who do you follow? Oh wow, thank you so much for featuring me! I'm glad that I'm able to help. :) I don't mind that you grabbed a picture from my blog! I liked you on facebook. Hope to see more posts from you soon! Thank you for your posts and your permission! I used my personal account to like your Facebook some weeks ago. :) I look forward to more of your reviews and tutorials as well! Heey Eula, thanks for the feature, I love it! I had to google what "comp'd" means. Hehe. Actually I don't do compensated or sponsored reviews - that defeats the point, I think. Most of the products I talked about were given to me for free though but I don't accept payment to review them. The sponsored posts that I do are FYI or activity coverage stuff because I just get to tell it as it is. Anyways, love your blog - awesome photos! Keep it up alright? Thanks for your cheerful and informative entries Nikki!